United States’ Mikaela Shiffrin speeds down the course on her way to win an alpine ski, women’s World Cup super-G in Cortina D’Ampezzo, Italy, on Sunday. 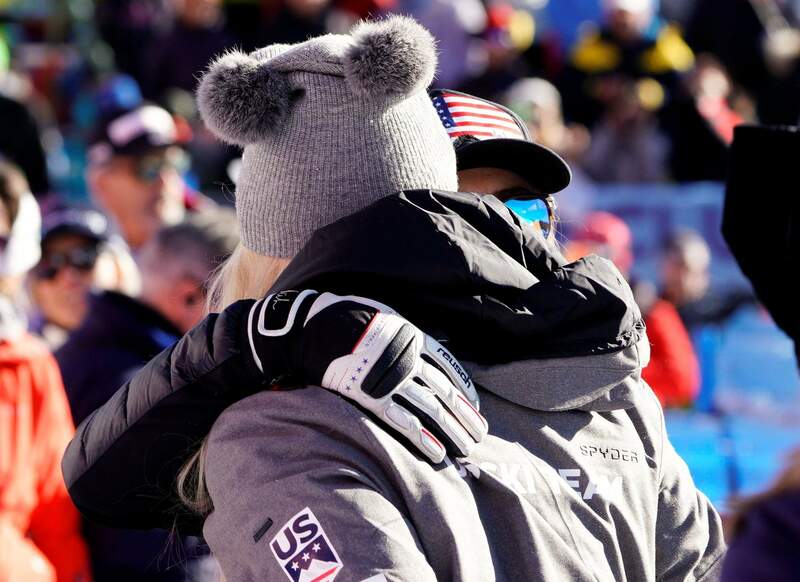 United States’ Lindsey Vonn, left, hugs Michaela Shiffrin in the finish area of an alpine ski, women’s World Cup super-G in Cortina D’Ampezzo, Italy, on Sunday. 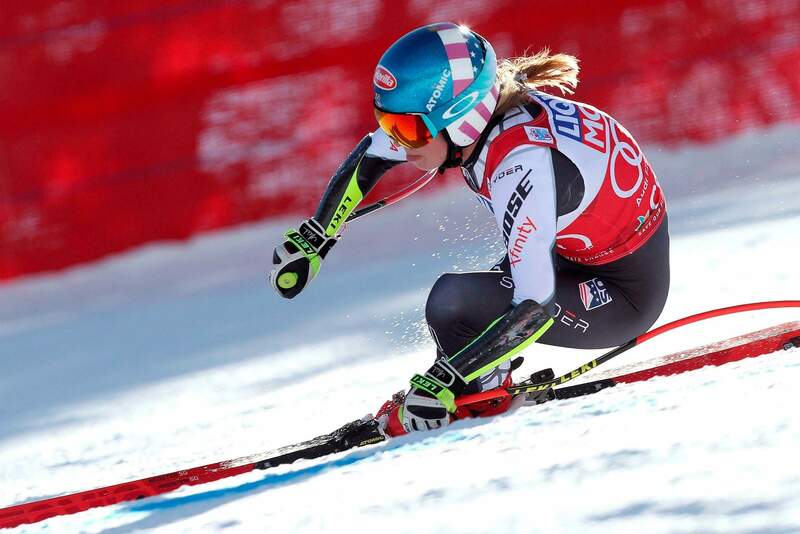 CORTINA D’AMPEZZO, Italy – It’s been several seasons now that Mikaela Shiffrin has been taking over from Lindsey Vonn as the top racer on the U.S. Ski Team – and the overall World Cup leader. Having recently competed in a long block of technical races – her specialty – Shiffrin had only one day of super-G training over the past month.